There is no better way to watch a Washington Wizards game at Capital One Arena than enjoying it with your family and friends! 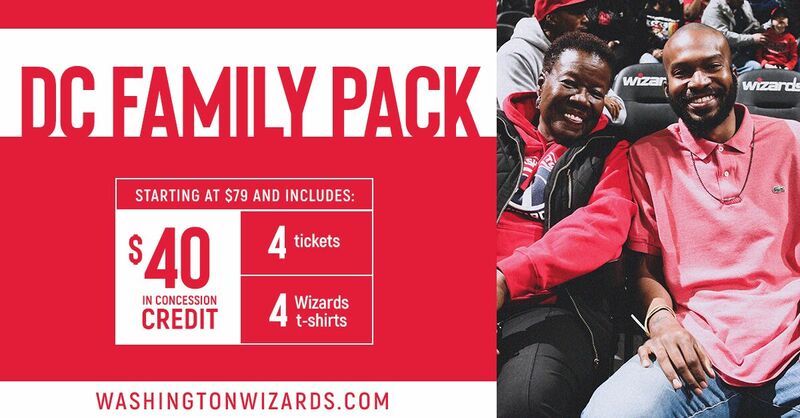 Washington Wizards DC Family Packs are on sale now, starting at $79 in selected seating locations. Please fill out the form below and a representative will contact you about our family packs.